The names by which evil and wicked activities, persons, places and things go by OFTEN change. Call it a sort of “rebranding.” Whenever too many catch on to the ways of the wicked, the wicked call their ways something else. Psychology: The truth about the paranormal – Any time the Corporate Media promises ‘the truth,’ what follows is anything but. And so it is with the linked article, which is a mishmash of the demonic and use of familiar spirits. What the linked article does provide are cover stories for the use of illegitimate supernatural power. Another is the labeling of demonic power as “the paranormal.” IN FACT, rebranding previously-discredited and forbidden spiritualist practices as “the paranormal” has deceived many into believing these practices are natural, controllable phenomena. Because some in the paranormal make a show of “measuring” various factors (temperature, electronic waves, etc. ), an aura of objective science is projected. 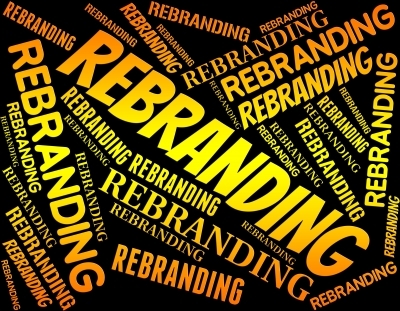 This rebranding of evil takes place quite often–especially where the demonic is concerned–as most people are a bit squeamish about dealing with demons or familiar spirits. It’s a re-branding of evil–something the Corporate Media does every day as one of its normal chores. Which is necessary because, again, many people find demons to be creepy. However, if they are labeled ‘paranormal‘ then suddenly there’s an air of mystery surrounding the whole affair. HAS the reader become involved in activities which involve the demonic?